Now that the blog is up and running, a new dilemma has now presented itself: my wife/blog editor tends to get food cravings after proof-reading my reviews. Review a donair place? Cravings for east coast grub ensues. Chinese place we had dumplings at? A hunger for dumplings arises. It was this latter situation that would bring us to Sula Wok. 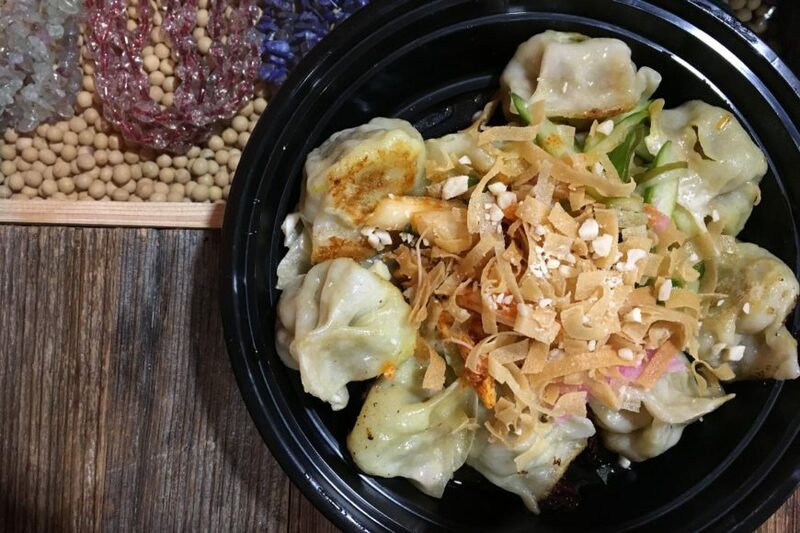 Previously existing solely as a cart that would do the mobile food vendor thing, Sula Wok opened a brick-and-mortar location on Main Street in Old Ottawa East back in January. The space is fairly small, with the cooking area and a counter along the front window, while a few tables occupy the back. The interior is colourful and bright, with added charm from dumpling- and taco-related art on the walls. We came in at the tail end of the Friday supper rush, with the husband and wife ownership team hurriedly pumping out take-out and eat-in orders. This gave us plenty of time to peruse their menu, which is comprised of Asian tacos, dumplings, fried rice, noodle and rice bowls, salads, and sides. 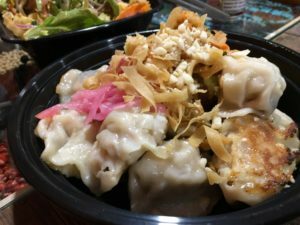 Since we were here for dumplings, we went with two orders – one of the Tibetan beef momos, and another of the Thai basil chicken ($11.95 each). 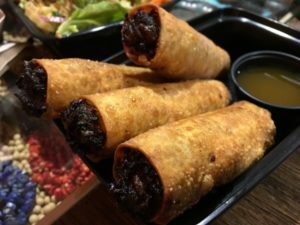 I wanted to give their open-ended egg rolls a go ($7.50), and we also tacked on a red curry salad ($11.95) for something other than carbs and meat. 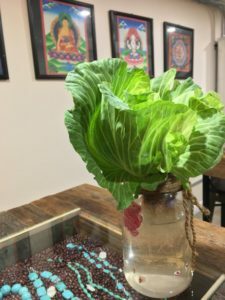 We settled in at one of the tables in the back corner, and noticed that the tables are cleverly designed such that there’s inset, glass-covered compartments which contain jewelry for sale, which is made by the cook/owner/namesake, Sula. The red curry salad arrived first; with a colourful mix of cabbage, soba noodles, onions, carrots, mango, bean sprouts and topped with crunchy wonton or tortilla strips, it was a culinary rainbow. The veggies were fresh and crisp; the red curry dressing was applied with a light touch, and it packed a lot of flavour and a spicy punch. Up next were our dumplings, which came topped with pickled cucumber and onion, kimchi, and fried wonton strips. At a dozen dumplings per order, one order is pretty sizeable. The Tibetan beef momos had a well-balanced earthy/spicy mix, while the Thai basil chicken had a fresh and bright flavour as a counterpoint. Sula came over with a few different sauces for the dumplings – peanut, spicy peanut and a Tibetan chili sauce. All were great, but I preferred the Goldilocks-level of spice on the spicy peanut – enough that you knew it was there, but it still allowed you to taste the other ingredients. Last but not least were the open-ended egg rolls: four neatly-rolled, uh, rolls, with their telltale charred ends. The flavour profile was standard for an egg roll, although the wrapper was not as crisp as I’d have liked. It was also oddly loose around the filling; with a little jiggling, I could have shaken out a tube of slightly greasy cabbage and pork. Once we were eating and things had slowed down a bit in the restaurant, the owners chatted with nearly everyone that came in, seeming to already have built up a base of regulars in the matter of months that they’ve been open. On the mobile side of their operations, I had tried one of their Asian tacos at a food truck rally downtown last summer. 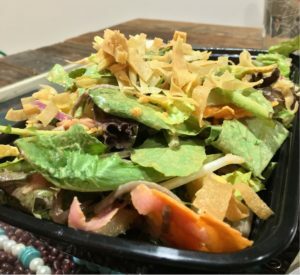 The five-spiced tofu (currently on their restaurant’s menu, three for $12.49) came loaded with toppings – cabbage, cucumber, pickled onion, green onion, sesame seeds and a sprinkling of what appeared to be crushed, plain, potato chips. It also got a squirt of spicy peanut sauce. I found it a little light on the tofu and five spice, and would have preferred a corn tortilla, but it still packed a lot of flavour and textures. Sula Wok is doing a lot of things right in the kitchen and beyond, and is bringing a unique type of restaurant to an under-served neighbourhood. With a few tweaks around the edges, they’ll really elevate their game, and be bringing in regulars from all over the city.